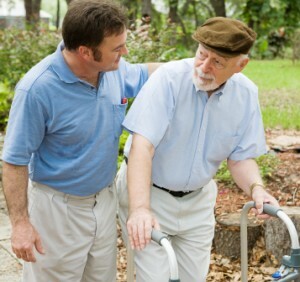 If a nursing home resident who suffers from dementia or Alzheimers gets injured because he or she wandered unsafely or into unsafe places, got hurt, eloped, got lost or became trapped in unsafe areas, the nursing home can be held liable for negligence because it failed to proprely supervise the resident. Incidents of unsafe wandering happen most often in nursing homes that are understaffed or in which the staff is not proprely trained. Because wandering represents a significant safety risk to older adults with dementia it is often a reason why a family makes the decision to place a loved one in a nursing home. A good nursing home will train employees on how to prevent unsafe wandering and elopement, assess each patient on a regular basis as to his or her propensity to wander and balance safety and autonomy while implementing measures to deter unsafe wandering. Families also need to understand the risks of unsafe wandering and elopement and what they can do to help. Discussions may prepare residents and family members who may be unused to seeing wandering behavior in others, and because residents may begin wandering after moving in, discussions might invite more conversation about past or current behaviors.